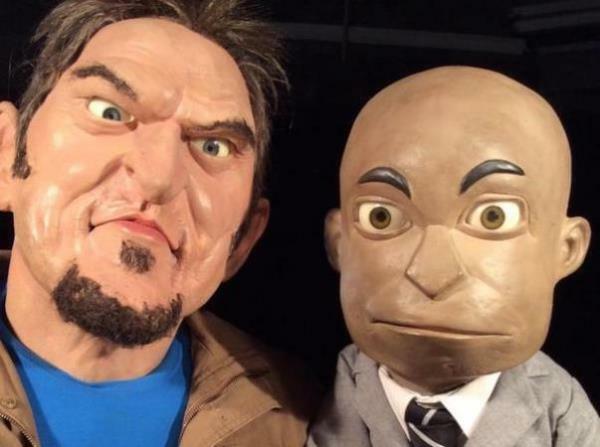 Comedian and ventriloquist Conrad Koch confirmed on Monday he will oppose Afrikaans singer Steve Hofmeyr's interim protection order against him. "My lawyers are busy with that," Koch, popularly known through his puppet "Chester Missing", said. He referred questions on the matter to Webber Wentzel media lawyer Dario Milo. Milo could not be immediately reached for comment. Two of Koch's opinion pieces were blacked out in Sunday's City Press, one written by himself and one as Missing. When asked whether the pieces would see the light of day he replied: "I don't know, but I hope so -- our case is very strong." Hofmeyr secured a court order in the Randburg Magistrate's Court on Wednesday against Koch to prevent his puppet from harassing the singer on Twitter. The order prevents Koch from threatening, harassing, or making defamatory statements against Hofmeyr. He was also not allowed to tag him on social media websites like Twitter or mention him in television and radio interviews. "My first court order against Conrad Koch (Chester Missing) succeeded and there are still four coming!" Hofmeyr wrote on Facebook on Wednesday. Hofmeyr said that until Koch explained the "hate speech" in the Randburg Magistrate's Court on November 27, the ventriloquist was not allowed to contact him, his sponsors or his business partners directly or indirectly, reported Beeld newspaper. "He can prepare himself for the same legal action from my partners and other sponsors. Playing God is for gods, not for ventriloquists, old frog (Godspeel is vir gode, nie buiksprekers nie, ou padda. )," Hofmeyr wrote. Beeld reported on Thursday that Koch said it was "fundamentally" wrong to take legal action against a satirist. "It's absolutely crazy. Steve spits racist bile. If he gets challenged, he acts supercilious," Koch was quoted as saying. "All I did was tweet. The price of his racism is coming back to him now." Beeld reported that Koch said his tweets against Hofmeyr were not hate speech because he never said anything hateful about the singer or never told people to boycott his sponsors or the festival. Hofmeyr said in a tweet on October 23: "Sorry to offend but in my books blacks were the architects of apartheid. Go figure." Supermarket group Pick n Pay and Land Rover found themselves the subject of a war on October 30, over whether they should be sponsoring an Afrikaans music festival at which Hofmeyr will perform. This followed a column in The Times by Koch titled "Dear white supremacists..." in which he questioned the retailer and Land Rover sponsoring the "Afrikaans is Groot" festival. Hofmeyr recently had a sponsored bakkie withdrawn by Williams Hunt in Port Elizabeth after the tweet. Koch, known for his interviews with politicians using his puppet Chester Missing replied: "Have associated yourselves with an apartheid denialist. It gives his views credibility, @PicknPay: support Afrikaans music, not individuals". Hofmeyr has previously created controversy by singing the full version of "Die Stem" at his shows. The song was composed by poet CJ Langenhoven but is better known as the apartheid-era national anthem. A reworked excerpt was included in the new national anthem after the 1994 democratic elections. On Thursday morning, Koch received support on Twitter from various people including former president Nelson Mandela's former personal assistant Zelda la Grange. Responding to a question about how someone takes a puppet to court on Thursday morning, Koch tweeted from the Chester Missing account: "You need to be a dummy."